The Strategy Sketch is a structured visual template by Jeroen Kraaijenbrink containing ten key elements of strategy. It facilitates discussing, analyzing, evaluating, innovating and managing strategy in a transparent practical manner and thereby generates executable strategy. The Strategy Sketch is a visual template that presents the key elements of strategy in a structured and coherent way. Value Proposition. What products and services you offer, how you offer them, and what added value they have for the customer. Customer Needs. The organizations and people you serve and which needs of them you fulfill. 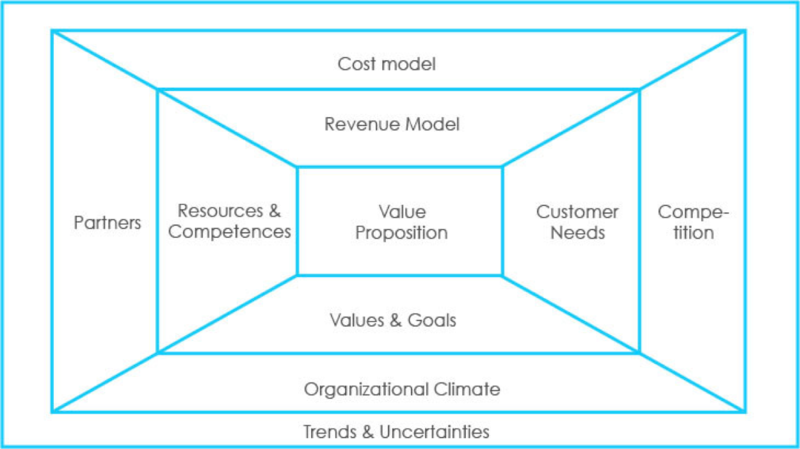 What Exactly is a Management Model?